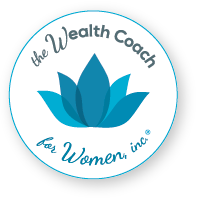 Engaging the services of a wealth coach is a process that deserves serious consideration. The following questions represent some of the most common questions we get from prospective clients. Do you specialize in a type of client? I specialize in helping women that are dealing with a major life transition, such as a loss of a spouse, divorce, job change or inheritance. My best client relationships are the ones where I serve as your Wealth Coach. This means we work together to create a plan. Next I guide you through implementation. Then the services of all professionals are coordinated to fully support your financial situation and what you want to accomplish. The benefit to you is it consolidates the fractured advice you may receive from multiple services and minimizes the possibility of something significant falling through the cracks. What are some common problems you’ve helped clients solve? Often when a person faces a major life change, they find it difficult to make critical decisions. There are medical studies that show when a person is under extreme stress, (often caused sudden change), the part of the brain needed to make decisions shuts down. * I help clients understand what decisions need to be made soon and why, and what can be postponed. By coaching them through this process in a sensitive, empathetic way, clients know they are not alone, and feel confident moving forward. Why do you specialize in helping women? Over the years, I realized many women approach money differently than men and their needs from their financial advisor are distinct. Women tend to outlive men, and worry more about outliving their money and making sure their family’s needs are covered if anything happens to them prematurely. Yet even though many women make most of their household’s buying decisions, the financial services industry has notoriously underserved women. I designed my process to complement the way women like to work by leading with education and planning, rather than selling a product. Giving them room to feel comfortable asking questions helps them open up about what they don’t understand. I take the time to give them the information they crave so they are comfortable with the recommendations I make for them. Will you work with men? Yes! I often work with couples and male relatives of existing clients. How old is your typical client? The age of my clients ranges from late 20’s to 90’s. It is common for me to help multiple generations within a family. I serve the family matriarch by helping her redesign her finances to fit her lifestyle change. I help the young professional with an advanced degree who worries about managing college debt, budgeting, and developing sensible money habits. My firm supports the 40 something recently divorced mom who needs help figuring out cash flow, managing child support, and rebuilding her life as a single mom. I have a personalized communication plan so that I can have meaningful discussions on a regular basis that work for you and help move you forward in your financial lives. In addition to scheduled meetings, clients always have the option to contact us with questions or let us know when there is a change in your circumstances. I have an open door policy and welcome inquiries. My clients tell us that everyone on my team takes a real interest in making their financial goals a reality. I believe this is distinct. I will take the time to get to really listen to what is important to you. Your financial strategies are customized because I know your needs and resources are unique to you. The benefit to you is you have someone holding your hand, while holding you accountable. As a fiduciary fee-only firm, my compensation comes from my clients, not product sales. Many clients choose to hire us to provide personal financial consulting services centered on how to efficiently manage their goals. For this, clients are charged a flat fee, calculated by the complexity of the work required, and the frequency of the service. Financial consulting fees are reassessed annually, and can range from $1,000 to $10,000. My services can also include wealth management strategies. If you choose, I will tailor strategies by constructing and re-balancing your portfolio appropriately. For this I charge a percentage of assets under management. Will I be working only with you or with a team? Your primary point of contact is your personal wealth coach who is supported by a team of professionals. Each member of the team has a defined role to ensure that we deliver personalized client service. My team is very proactive with my systems and processes to eliminate any potential errors, or duplication of effort. You will have ready access to your advisor to receive timely responses to your inquires. How does your firm obtain new clients? New clients are referred to my firm by existing clients and other professionals. For the benefit of my existing client relationships, I accept a limited number of new clients each year. I give priority to family members of existing clients and professional referrals. That’s easy. Just call or email me and let’s have an initial conversation to decide if taking the next step makes sense. If we both agree, we will get together at a convenient time and location to continue exploring the possibility of working with each other. There is no cost or obligation for this meeting. If we mutually agree to move forward, we’ll schedule a 60 minute “discovery” conversation to start the financial planning process. Still have questions? Click here to get in touch and let me know. I’ll be glad to talk about anything that’s on your mind.